I view our community through many lenses. I’ve been a judge, an instructor, a public health specialist, a leader in cultural groups and, of course, a lawyer. I bring this rich background, perspective and experience to every legal matter I take on. Providing general and regulatory advice to individuals, groups and government agencies, civil litigator Ron Sholes handles class actions, mass torts, environmental disputes and business litigation. He counsels clients in the health care, medical, pharmaceutical and manufacturing industries and counsels them in arbitration and product and professional liability, among other issues. Ron contributes to his clients an insider’s knowledge of the judiciary, based on his public service as a district judge in the Civil District Court, Parish of Orleans and a judge of the Traffic Court for the City of New Orleans. Ron’s training extends to the medical world, as well. He earned a master’s degree in public health from Tulane University School of Public Health before he started law school. Naturally, he draws on that formal training when advising his health care-related clients, as it allows him to better understand the often complex issues they encounter. In his educational capacity, Ron has taught classes at the National Institute of Trial Advocacy and has also instructed students in trial advocacy at Emory University, Loyola University and Louisiana State University. In addition, he frequently teaches continuing legal education courses. Holding leadership roles in the state’s legal world, Ron served as president of the Louisiana District Judges Association and the Louisiana Fourth and Fifth Circuit Judges Associations. He’s also been president of the Louisiana Association of Defense Counsel and of the St. Thomas More Inn of Court. He sits on the Loyola College of Law Board of Visitors and several Supreme Court and bar association committees. 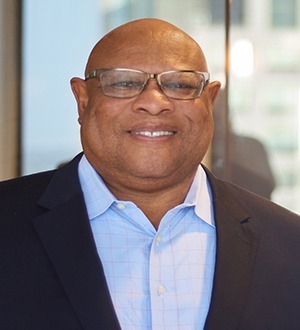 In the cultural realm, Ron was president of the New Orleans Jazz and Heritage Festival and Foundation and served on the board of the Greater New Orleans Sports Foundation and Dryades YMCA. Louisiana State University - Baton Rouge (Hebert), B.S.